I’ve always heard that Drupal did multi-language well, but you know when you hear about something and think, I know of it, but I don’t know much else about it? That’s exactly how multi-lingual Drupal was for me. 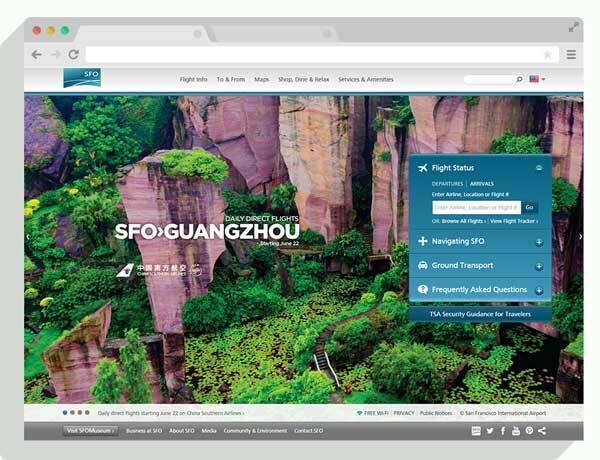 Until we got to work on the SFO China site, which by the way, is one of the finalists for Acquia’s 2015 Partner Site of The Year. At the time, the main SFO site was a single-language implementation. There was some form of multi-language support, but it did not take advantage of Drupal’s multi-lingual infrastructure. 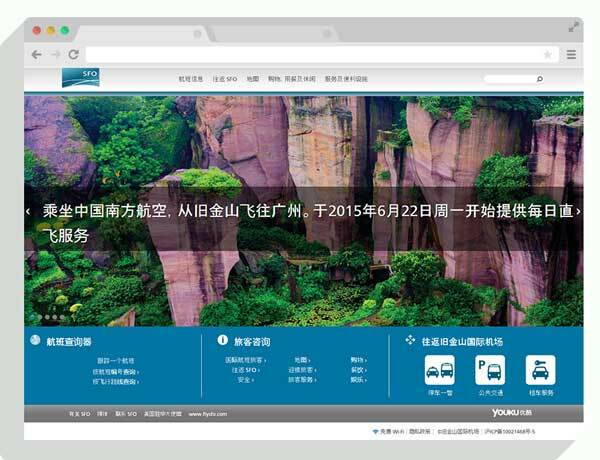 We were brought in to build the entire Chinese language site, as well as ensure the infrastructure was in place so additional languages could be implemented easily. We worked very closely with the team who built the original SFO site, Proof Integrated Communications (Proof IC). As we were in different timezones, we established a work-flow that allowed both teams to collaborate and keep each other updated on the work we were doing. 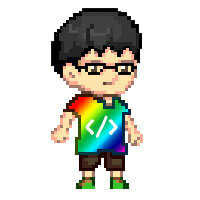 It really helped that all the developers, who were elbows-deep in code, had direct access to each other. We were also willing to compromise when it came to meetings and skype calls, where we would come in early and they would stay a little later or vice versa. 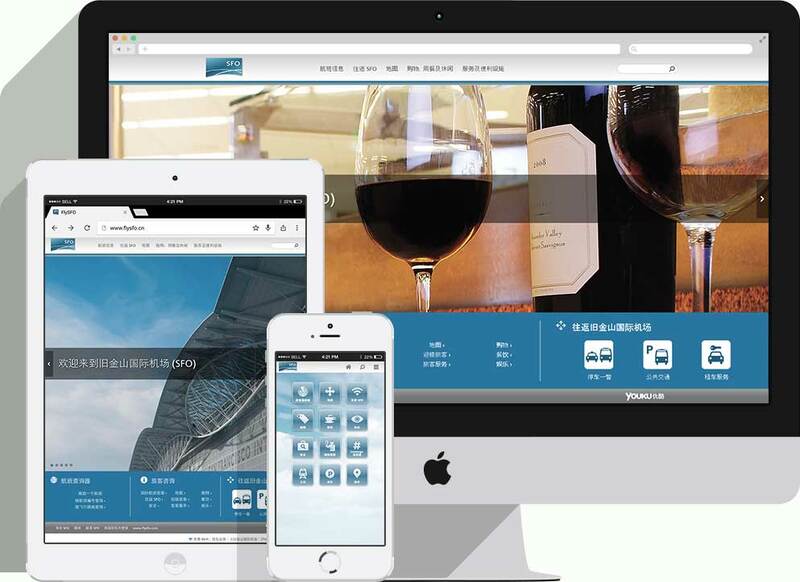 There were slight differences in the functionality available for the Chinese site and as a result we redesigned the home page for the Chinese site. We laid out the most commonly used links in three panels on the homepage for ease of access. The three major categories in each of these panels were flight information, passenger information and transport information. The structure of the Chinese site would almost mirror English site, with a few minor differences. Not all the English content would have Chinese counterparts. The sections marked for translation would be translated accordingly. These translations would be imported via feeds. All the content for each content type was formatted into their respective XML files. It took about a week of testing, troubleshooting and tweaking to make sure the translations imported correctly. The preparation of the XML files was done by Proof IC, and here was were the close collaboration really paid off. As we set up and tested the feed, we constantly updated Proof IC with tweaks that needed to be made to the XML file. <nid> was required for each XML item to act as a unique feed import identifier. We also used it to map the new Chinese nodes back to the original English ones. Every item needed a <language>zh-hans</language> field. The <language> field was a convenience tag, which reduced the effort needed to set language of the imported nodes after the fact. Every item needed a <url> field. The <url> field for each Chinese node would directly mirror its English counterpart. This was to prevent having Chinese characters in the URL, and ensure that after switching languages, the URL of the page remained the same, except with a different domain. Each content type had its own XML file. This was because each content type had their own set of fields. Taxonomy terms were imported in English. This was to prevent the creation of new terms (in Chinese) on import. Taxonomy terms were translated through the system, using the Multilingual Taxonomy (i18n_taxonomy) module. Translated nodes need to be manually linked to their original counterparts via SQL command. The solution was based off this post on Drupal Answers. As this approach involves updating the database, it is prudent to backup the database before proceeding. And yes, my boss let me get away with kaomojis in my issue tickets, because he's awesome like that. Refresh strings is the “Did you try turning it on and off again?” solution for string translation issues. If the string that needs to be translated just refuses to show up in the Translate interface, make sure you have visited the page where the string is rendered, then refresh strings. Somehow the system needs to “register” those strings before they can be recognised for translation. This is one of my favourite projects to work on, despite the amount of tricky issues we encountered. It was one of those projects where the client was a pleasure to work with, and everyone was on the same page. The amount of R&D we did for this project set us up with a lot of valuable knowledge and experience for future multi-language sites as well. With Drupal 8 having even better multilingual support, I can see how Drupal can become the platform of choice for multilanguage sites moving forward.